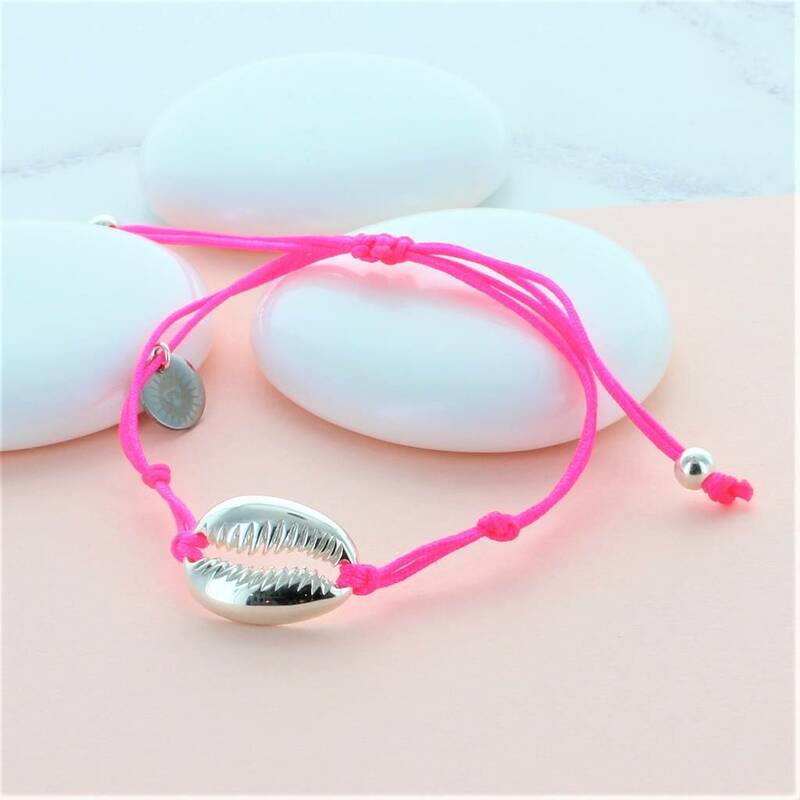 A stunning friendship bracelet in a choice of stunning neon pink or grey with an a cowrie shell in the centre. 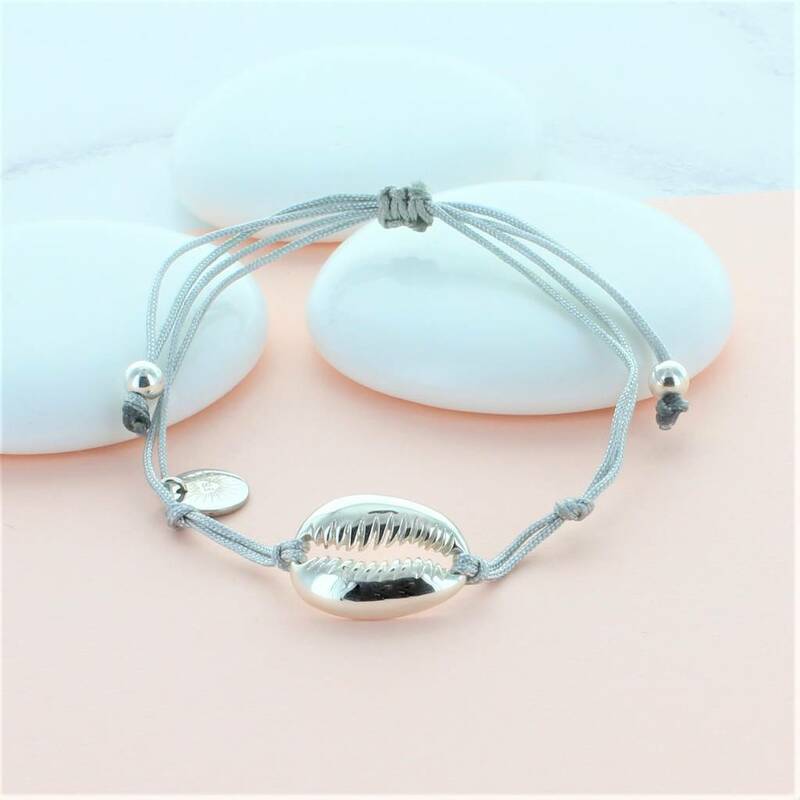 The sterling silver cowrie shell friendship bracelet would be a perfect gift for any age. 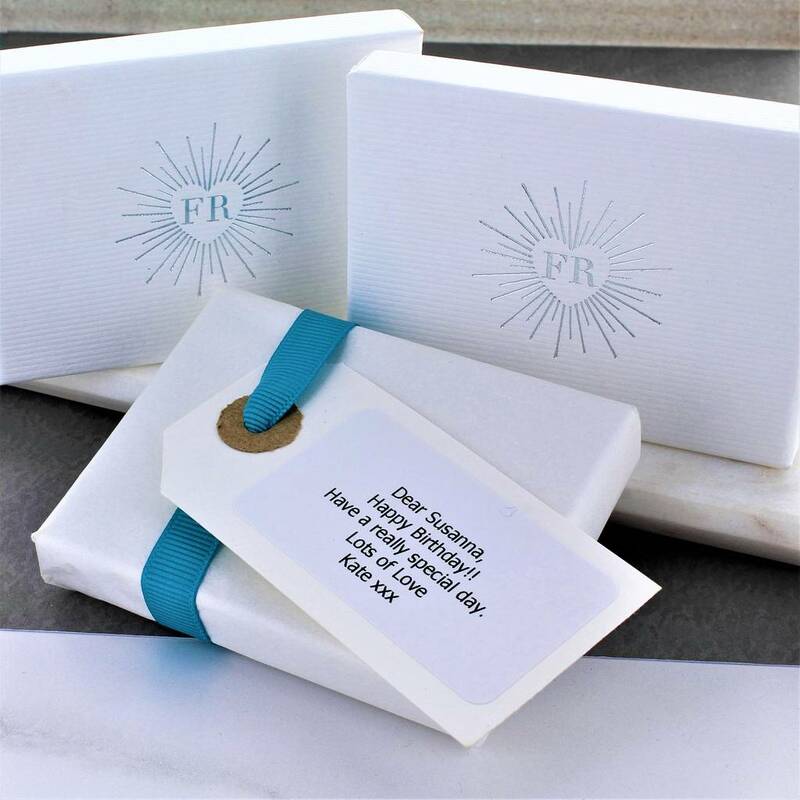 The bracelet would look beautiful worn alone or stacked together in each colour way. 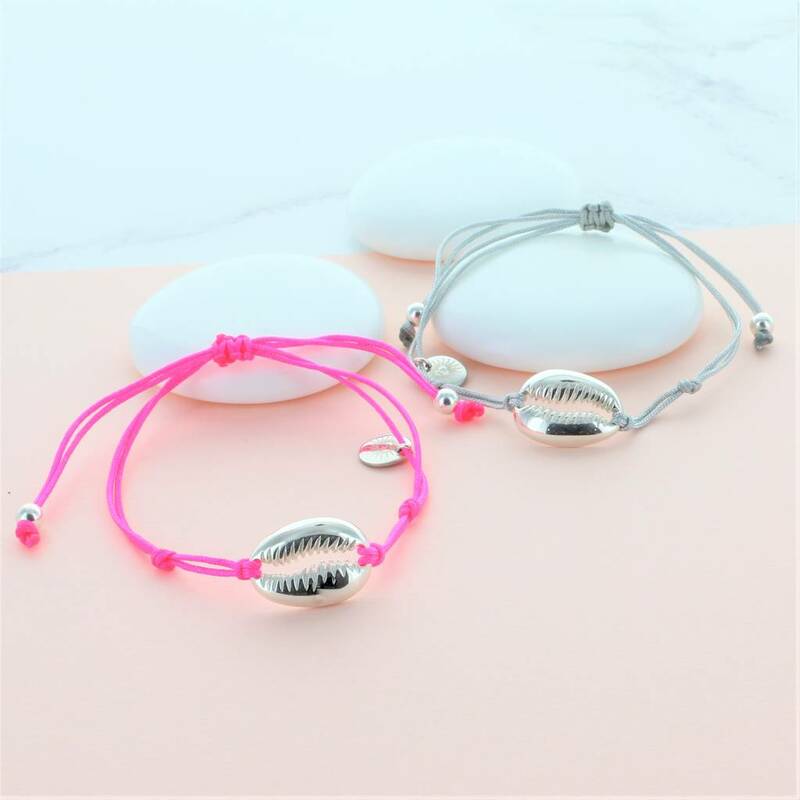 The macrame fastening can adjust to fit all size wrists to your ideal size.